John Robertson believes his side’s Championship rivals are in for a rude awakening if they believe big budgets will buy promotion success. The Caley Thistle manager will embark on his club’s bid for a Premiership return with one of the smallest kitties in the division. But describing local rivals Ross County as a club spending “huge” amounts, the former Hearts hero insists the Highlanders needn’t be afraid of the big-spenders – and can draw inspiration from Livingston’s remarkable success last season. Caley Thistle’s latter season form took them to within a goal of the play-off last season after recovering from a terrible start to life in the second tier. Robertson, looking to take that momentum into the new campaign, kicked off pre-season training on Thursday with a defiant message. He said: “A lot of teams have strengthened and Ross County and Dundee United are paying huge money for players which we can’t get anywhere close to. “Falkirk have binned their youth academy and put all funds into the first team, so they will spend big. Partick and Dunfermline continue to pay four-figure sums weekly for players. “We fall into a group where the likes of Morton, Queen of the South and Ayr are all paying similar money. But the league is not all about budgets. 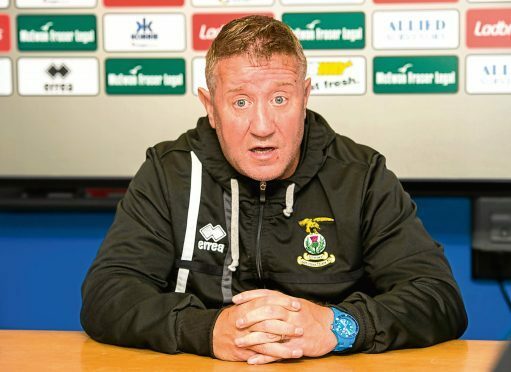 Relegation upheaval and a big turnover of players last summer contributed to Caley Thistle’s initial struggles as Robertson strived to knit together a squad featuring 13 new signings. In stark contrast, the core of last season’s squad has been retained 12 months on, but with a clutch of new faces. Central defender Jamie McCart has rejoined the club after leaving Celtic permanently, while fellow defender Shaun Rooney has joined from Queens. Midfielder Angus Beith was snapped up from Hearts and winger Tom Walsh has been drafted in from Dumbarton.